Australia’s biggest state faces days of political chaos as ideologically-opposed fringe minor parties decide who forms the next government. 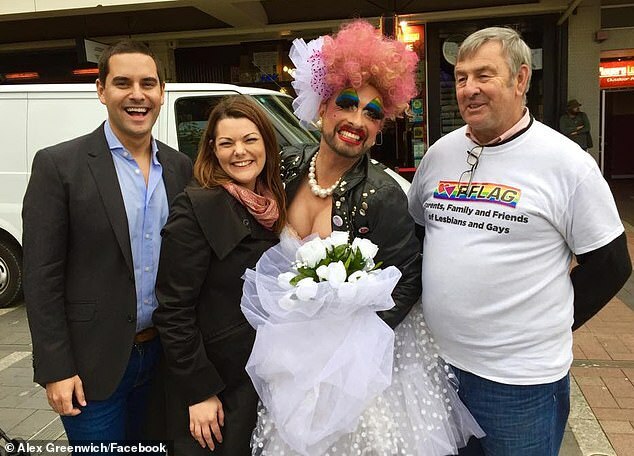 The Shooters Fishers and Farmers Party, the anti-coal Greens and an independent gay rights activist could potentially hold the balance of power in the New South Wales Parliament if neither major party commands a majority in tomorrow’s election. Polls show Premier Gladys Berejiklian’s Coalition government losing at least six seats, which would force the state into minority government for the first time since the aftermath of the 1991 election. This would see both Labor and the Liberal and National parties forced to negotiate with fringe minor parties in a bid to cobble together a potentially-unstable power-sharing arrangement. The Shooters party won the seat of Orange in a 2016 by-election and could potentially expand their presence in the state’s west by winning the Nationals-held seats of Murray and Barwon. It wants the government to stop recording ammunition sales and is pushing a controversial plan to allow former police and army officers to grant gun licences and exempt them from paying any fees. Former deputy prime minister Tim Fischer, who was also a state Country and National Party MP for 13 years, said the Shooters party was influenced by the American National Rifle Association and presented a real threat to gun laws in NSW. ‘It’s not helped if the Shooters party were to win an outright balance of power and multiple seats in both houses,’ Mr Fischer told Daily Mail Australia on Friday. Mr Fischer said ‘any wholesale chipping away of the gun laws’ was a risk to ‘children’s safety and community safety’ in the aftermath of the Christchurch massacre in New Zealand. 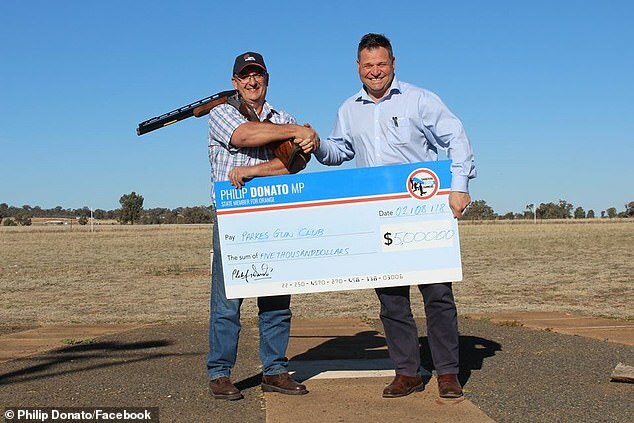 Outgoing Shooters MP Robert Brown hit back at Mr Fischer’s suggestion his party was influenced by the NRA and downplayed the possibility of them securing changes to gun laws. ‘Bulls***. You can quote me on that,’ he told Daily Mail Australia. Mr Brown said the Shooters would also refuse to be part of any minority government with the Greens. ‘I don’t think that would ever happen, a power sharing agreement with the Greens,’ he said. 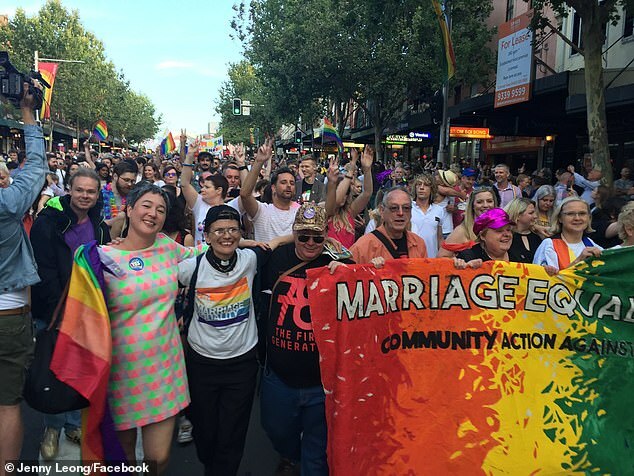 The Shooters party, which is also campaigning for religious freedom, is philosophically at odds with the independent member for Sydney Alex Greenwich and the Greens. 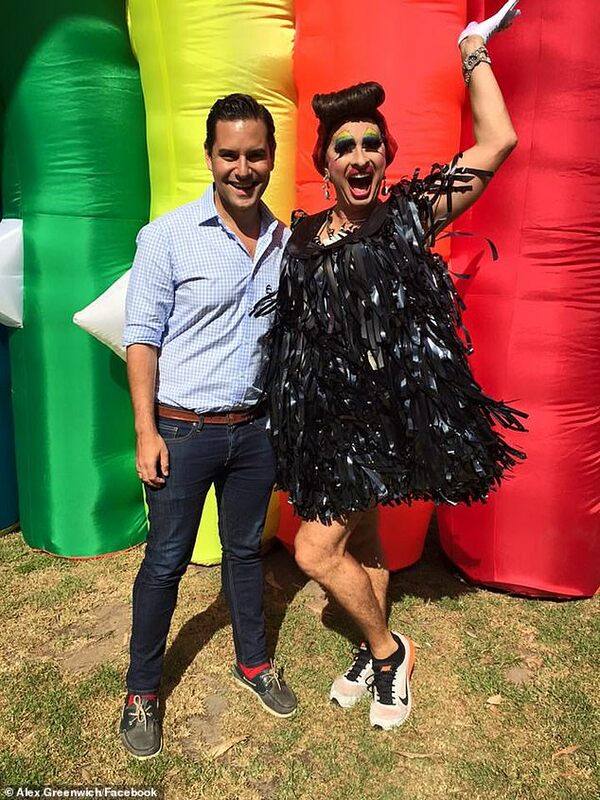 Mr Greenwich, who was previously the director of Australian Marriage Equality, has promised to push for new laws banning religion-based schools from discriminating against gay and transgender teachers and students. The Greens, who already hold three lower house seats in the NSW Parliament, are even more radical. They want NSW to ban coal mining and coal-fired power stations by 2030. They also want the state government to commit $1 billion towards local ‘community’ renewable energy projects on top of another $1.5 billion a year for ‘large-scale, publicly-owned renewable energy projects’. The minor party holds the Sydney inner-west seats of Newtown and Balmain, along with Ballina on the state’s far north coast, which covers Byron Bay. 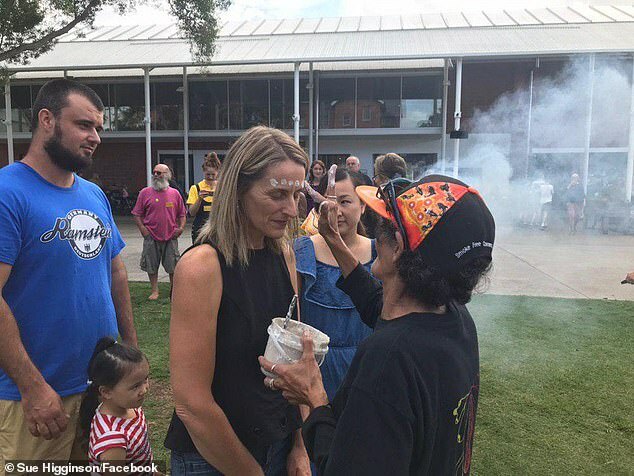 It stands of chance of winning the Nationals seat of Lismore, also in the state’s north, which includes the hippie town of Nimbin where locals sell marijuana and space cakes on the main street. Just last week, Labor was leading in the polls, with a UComms /ReachTel poll showing the Opposition leading the government 51 to 49 per cent, after preferences. If replicated at the election, that would represent a swing of more than five per cent away from the government and see the Coalition lose six seats, which would deprive the Liberal and National parties of a majority. In that scenario, it could potentially form a minority government with regional independents Greg Piper and Joe McGirr and Mr Greenwich, whose mentor Clover Moore helped former Liberal premier Nick Greiner cling to power in 1991. If it lost more seats, the Coalition and Labor could be forced to court the Shooters and the Greens for a chance to govern NSW.